Copper Beech Consulting LLC was founded by David (Dave) Henry in June 2017. Before establishing CBC, Dave served as Chief Financial Officer in NASDAQ-listed industrial technology companies serving diverse markets, including semiconductors, capital equipment for utilities and wind energy. He possesses a deep knowledge of finance, accounting, mergers and acquisitions and the capital markets. He successfully navigated these companies through periods of growth and restructuring under some unique and challenging circumstances. Dave joined American Superconductor Corporation (AMSC) in 2007, at the time, a $50 million NASDAQ-listed technology company as its Chief Financial Officer. AMSC manufactures and sells superconductor-based products to utilities and the U.S. Navy, voltage management equipment for utilities and renewable project developers, and electrical control systems for wind turbines. 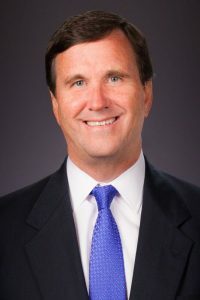 During his nearly 10 years with AMSC, Dave guided the company through a period of high growth, including 14 consecutive quarters of sequential revenue growth and annualized revenues exceeding $400 million, during which time he helped raise growth capital for the company, developed international tax strategies and instituted a foreign currency hedging program. After the well-publicized theft of its IP by its then largest customer in China in 2011, Dave navigated the company through a restatement of its financial statements triggered by the IP theft, led restructuring efforts and successfully completed multiple additional capital raises to enhance liquidity. In total, Dave has raised more than $850 million in his career as a CFO. Prior to his tenure at AMSC, Dave worked for nearly 20 years in the semiconductor industry, most recently at AMI Semiconductor Inc. (AMIS), a then $600 million NASDAQ-listed manufacturer of application-specific integrated circuits, where he served as its Chief Financial Officer from 2004 to 2007. Prior to AMIS, Dave was part of the team that spun out Fairchild Semiconductor (Fairchild) out of National Semiconductor in 1997, and was instrumental in helping Fairchild complete its IPO in 1999. With Fairchild, Dave held executive positions as Vice President, Corporate Controller and Chief Accounting Officer and Vice President Finance – Worldwide Operations. Dave is a Certified Public Accountant. He earned a BS in Business Administration at the University of California, Berkeley, and an MBA from Santa Clara University.